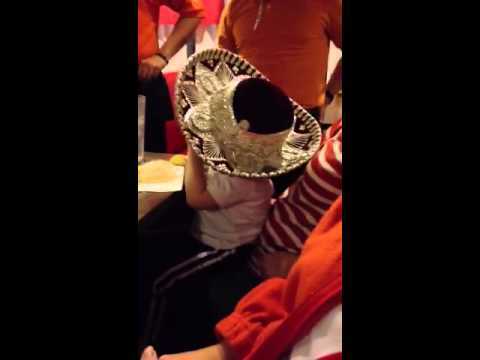 On Monday the Huntington branch of the Ellis Family headed for a birthday celebration at Rio Grande. 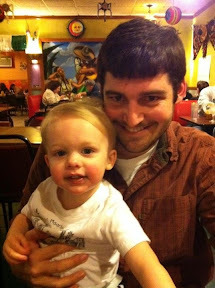 Curt's birthday is today (happy birthday, BIL!) 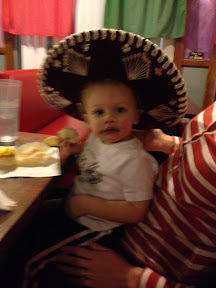 and Tristan's birthday is on the 9th, so Papaw Ellis wanted to treat everyone to a birthday dinner and Mexican just lends itself to fiesta! The song they sang is Las Mañanitas. It is usually sang by a group of friends or hired musicians at the window of the birthday person to wake them on their birthday. 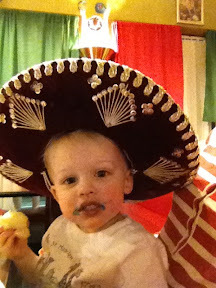 Tristan didn't know what to think of the singing, but he liked the hat. Thanks to Auntie Alex for the pictures and video. He was attached to her for 90% of the night. Love my family!